Boiled peanuts; photo by Krista on Flickr (use permitted with attribution). 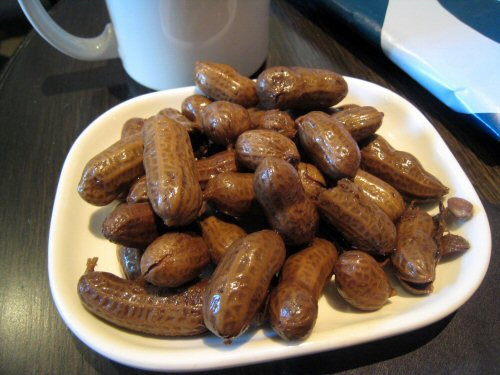 South Carolina designated the boiled peanut as the official state snack in 2006. South Carolinians began boiling peanuts in the 1800's. Boiled peanuts are sold as a snack throughout South Carolina at roadside stands, festivals, produce stands and stores.